The lawyers of Ukrainian female pilot Nadia Savchenko, who is charged with involvement in the killing of Russian journalists, plan to finish with the presentation of the evidence in January, lawyer Mark Feygin told Interfax on Wednesday. "We have the evidence, which we're to present this or next week. There also will be witnesses and experts. After that, we'll wait for mutual debates and a verdict," he said. 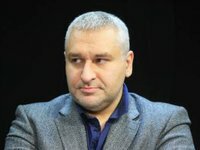 Feygin added that the oral statements of the parties might be held in early February 2016, after which a court will schedule the date of announcement of the verdict, which could be passed the same month, the lawyer said. He also reported that Savchenko had lost a weight a lot in the result of a hunger strike she went in December. According to earlier reports, Savchenko went on hunger strike until the end of the trial of her case during a court hearing held in the Donetsky City Court on December 17. According to Russian investigators, Ukrainian Armed Forces officer Savchenko was at the base of the Aidar battalion near the village of Metallist in the Slovyanoserbsk district of Luhansk region in eastern Ukraine on June 17, where she was conducting secret surveillance and correcting artillery fire targeting a checkpoint of militants from the self-proclaimed Luhansk People's Republic (LPR), as well as civilians sheltering there, among them were three journalists of Russia's VGTRK broadcaster. Two Russian reporters – Igor Kornelyuk and Anton Voloshin – were killed in the attack. Savchenko denies all charges. Savchenko has been held in Russian custody since July 2014.